Archaeologically, the Witteberg area is relatively un-explored. The Cederberg and the Sneeuberg of the Great Karoo have enjoyed the majority of archaeological research. What is known is that despite the Karoo’s bleak appearance and challenging winters, the area had a relatively high carrying capacity and teamed with wildlife before European settlers migrated to the Karoo. 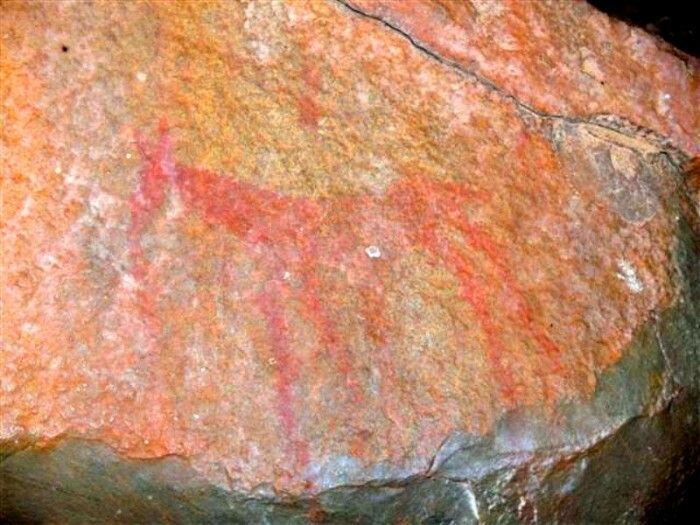 Hunter-gatherers, mainly San, successfully occupied the central interior of South Africa during the last 4500 years, subsisting on the large herds of grazing animals that occurred during that time. Late Stone Age archaeological sites dating to the late Holocene (within the last 4000 years) are surprisingly common. Research in the Eastern Karoo has revealed that, at about 1200 – 1400 AD, a climatic fluctuation (known as the mini-ice age) may well have caused an increased rainfall in the central Karoo, resulting in the area being more suitable for grazing of cattle and occupation by Khoekhoen pastoralist groups. They left behind an archaeological legacy that consists of stone kraal complexes of which several hundred have been recorded. In truth therefore, the history of the property is likely to be more complex than the written record. 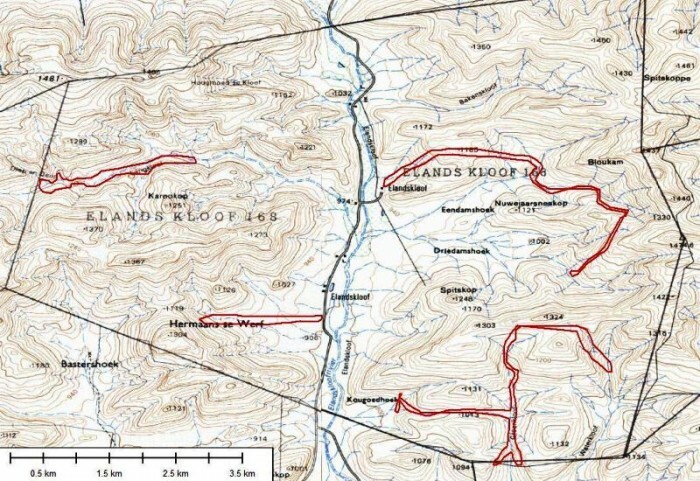 There is at least one unexplained ruined homestead in the remote Driedamshoek, which may predate the written testimony of settlement. Early Stone Age artefacts are scattered almost randomly throughout the Elandskloof valley. This very early material (between 300 000 and 1 mya BP) can be described as the “ephemeral scattered litter” of human presence. Several Middle- and Late Stone Age sites were recently documented. Check out the magical view from one of the caves where rock art and other artifacts can be seen.